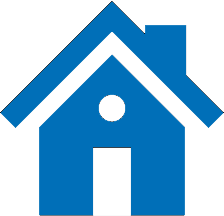 The initial setup of a system can take a long time. 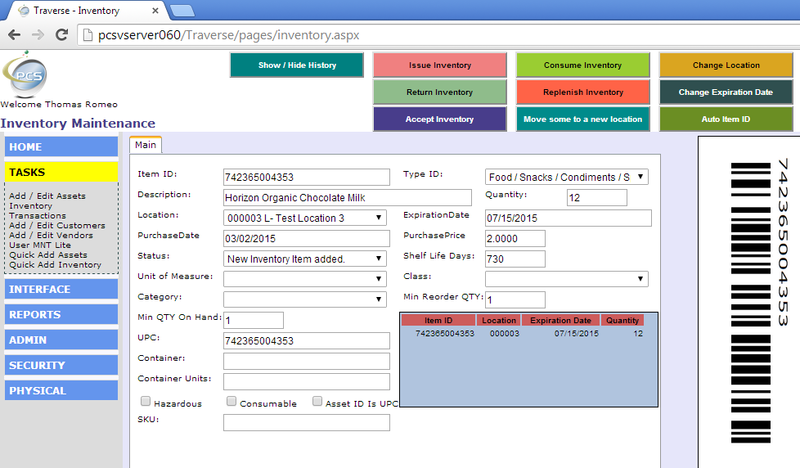 Traverse offers a quick add screen for inventory so you enter the data quickly. You can then visit the full inventory pages and enter the details. 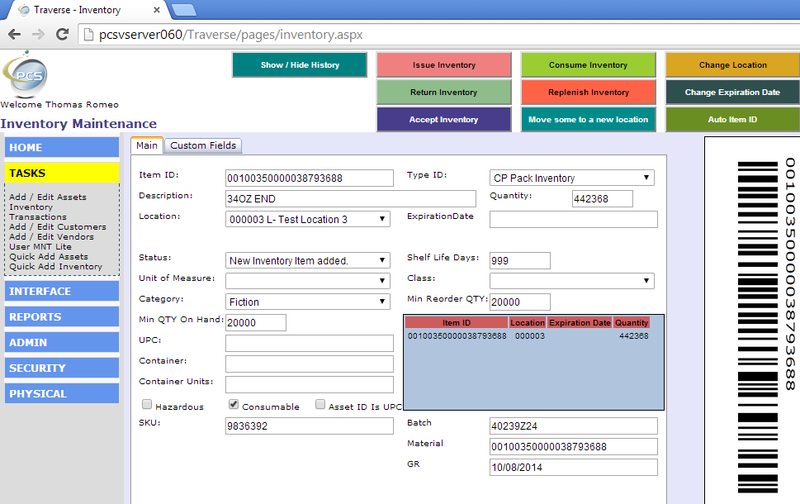 Some inventory is stored by item id such as a UPC code. 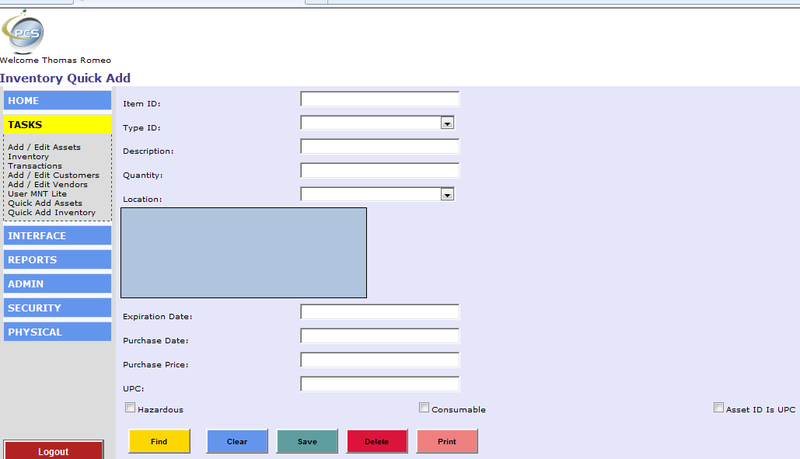 Quantity, expiration date, and location are used for accuracy. Some inventory can be uniquely identified by its container. This allows for recall ability.